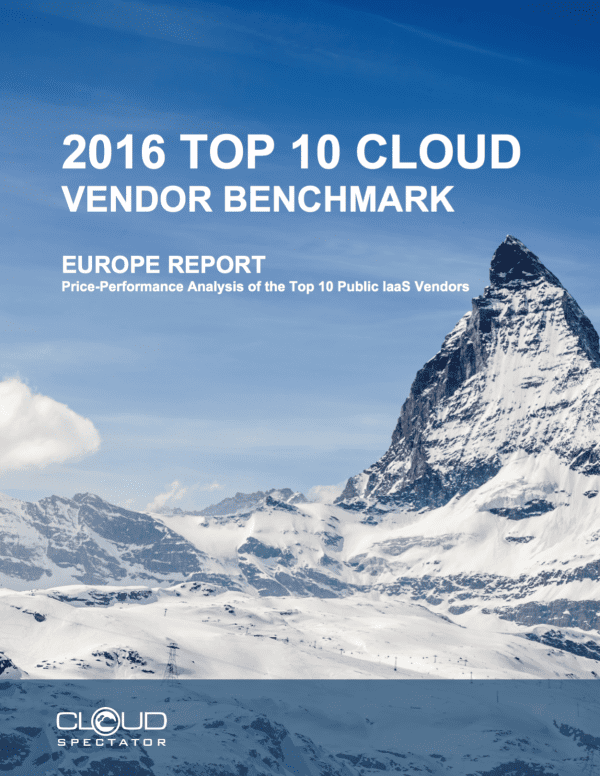 The report measures and ranks the Top 10 European CSPs using a comprehensive performance and price-performance methodology designed by Cloud Spectator specifically for the purpose of measuring cloud environments. The report measures and ranks CSPs using a comprehensive performance and price-performance methodology designed by Cloud Spectator specifically for the purpose of measuring cloud environments. Cloud Spectator set out to test 25 of the largest, most well-known public cloud providers with data centers in North America. The study documented in this report examines the performance of vCPU, memory, and block storage as well as the value (the CloudSpecsTM Score) as defined by the relationship between price and performance. In conjunction with a proper process for cloud vendor selection, this report serves to assist in the purchasing decision by assessing performance and price-performance in a holistic, industry view. The report is specifically designed to educate readers on the variation in performance and price-performance value across public cloud providers. Performance is a critical and often overlooked component when making a cloud purchase decision, but can have substantial impact on annual operating costs.